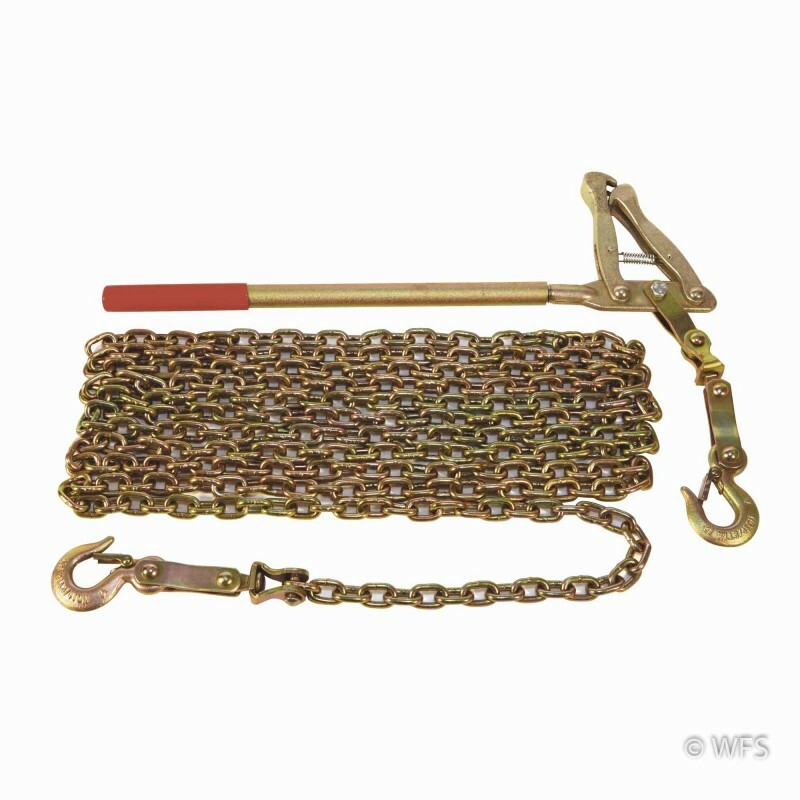 Also called a chain grab, this tool hooks onto stretcher bar to pull woven wire tight. Includes 20 foot chain and steel hooks. 17.25 x 2.75 x 5.25 "